are certainly on the top of my list! 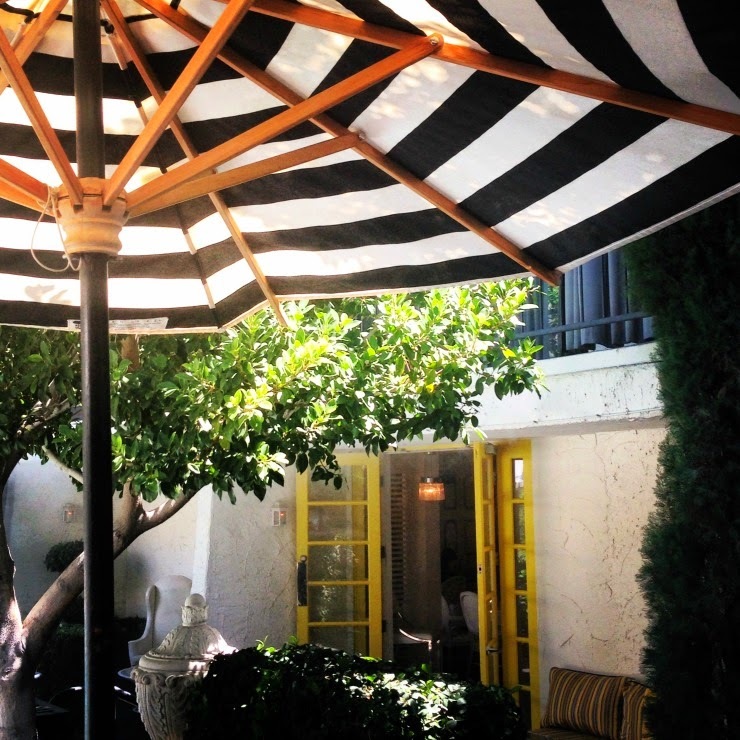 A true Palm Springs lunching joy! as there is any where to me. hotels origins of the 1930's. over my Haute Hippy T shirt. for more casual locations later in the day. must do after lunch list! had my heart racing with so much beauty to check out! called my name loud and clear! They are a soft jersey with pockets even! they are long enough for me to wear with heels! Quite a find in my book! the necklace like never before! Trina … is also pretty sweet! Those pants are just gorgeous! And so "you" Tamera. Looks like you're having a great time. I love PS. My father lives down there in Indian Wells. It's such a fun place to visit! 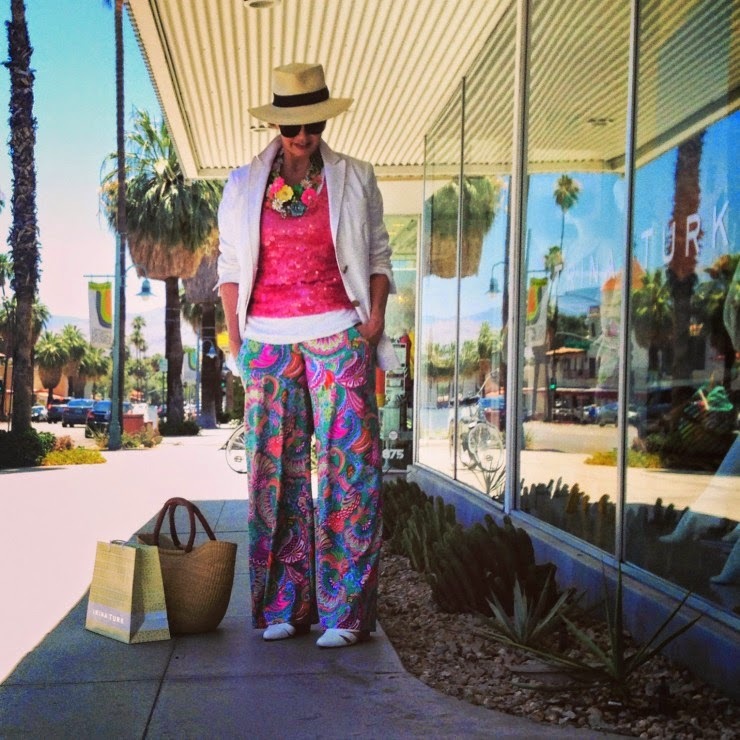 Tamera, I think you've captured iconic Palm Springs with your lens. My senses are on high at the moment, feeling the heat, hearing the clink of cocktail glasses, and kinda swooning over the Viceroy decor. Palm Springs is a winter holiday destination for a lot of my friends, and I better appreciate the appeal. THOSE PANTS LOOK GREAT ON YOU. YOU DO HAVE SUCH A TALENT FOR STYLING. 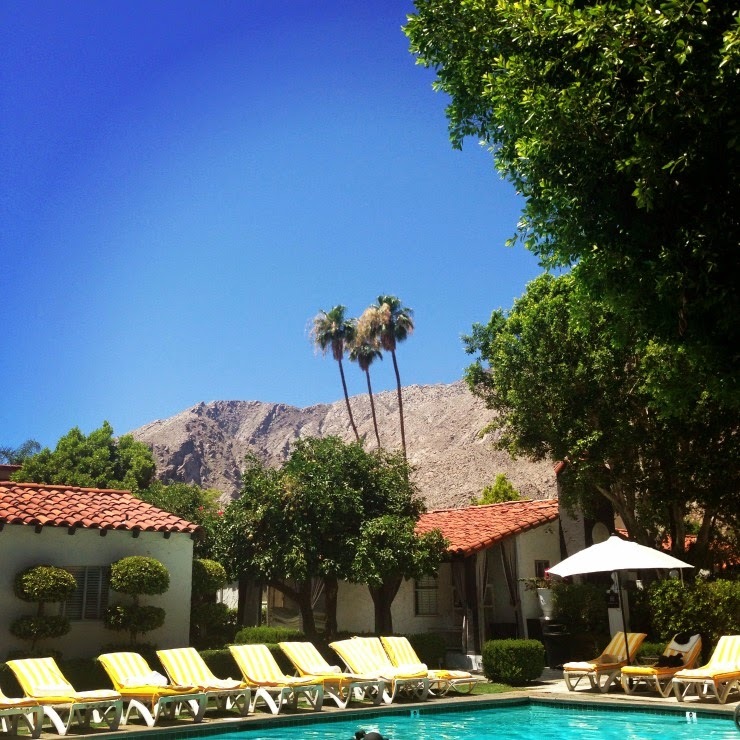 We stayed at The Willows, the place where Einstein stayed in wintertime a few times, amazing place with incredible service, as much as I love the vibe of Palm Springs and the history, I don't do well in any places encircled by mountains or really tall hills - bizarrely it reminded me of Scotland! On a very very hot day. Did you leave the LARGE behind?? Ps. That white necklace in one of your photos.......I own in an orange - red.............mine was a gift from the PAUL SMITH collection! With my love of all things colour you just knew I'd LOVE those pants! What a score. The whole ensemble is delightful and fresh. It looks like a wonderful place. Love the whole post...but those pants are awesome and your styled them briliiantly! Love the look! The pants are beautiful! I bet they'd be really nice for the warm weather. I can only imagine how relaxing it would be to lunch poolside. Thanks for sharing your adventure so far. First off, I don't know if I would ever leave that little dressing room, let alone the store. How inviting is that? 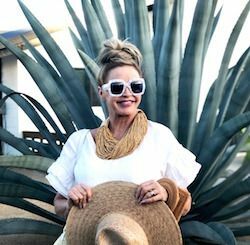 I can totally relate to the excitement when the perfect outfit comes together, and seriously those pants, well, I think Trina Turk herself knew you were heading in and had them made just for you. Looks like you're having a wonderful, wonderful, getaway. You are so glamorous and fit right into those Palm Springs scenes. We used to go quite a bit when my in-laws were still with us. I'm so glad that PS seems to be enjoying a Renaissance of design and art. Great post Tamera. Love your floral pants. Fab!!! Such cute pants and so YOU! 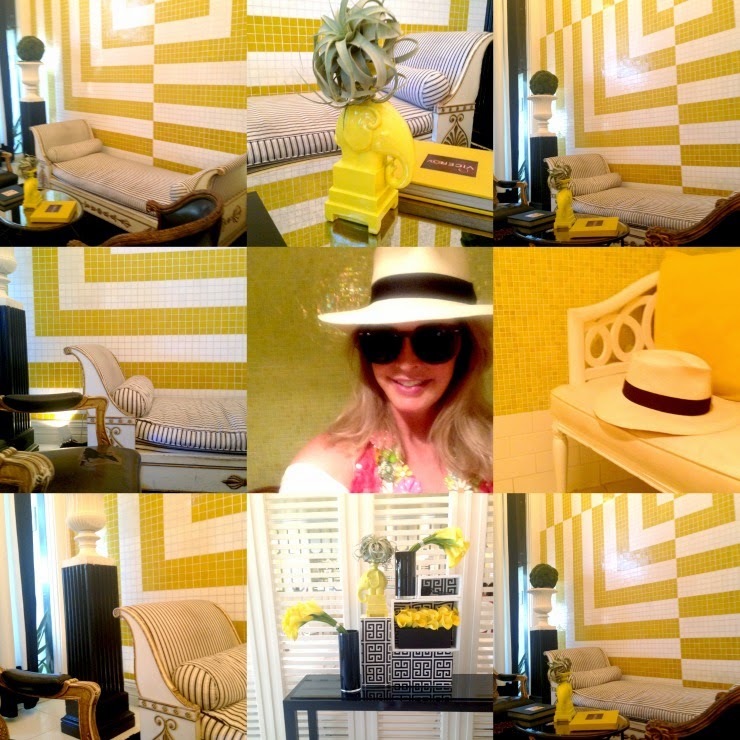 Looks like a fabulous & glam trip! And those palazzo pants … to-die-for adorable! 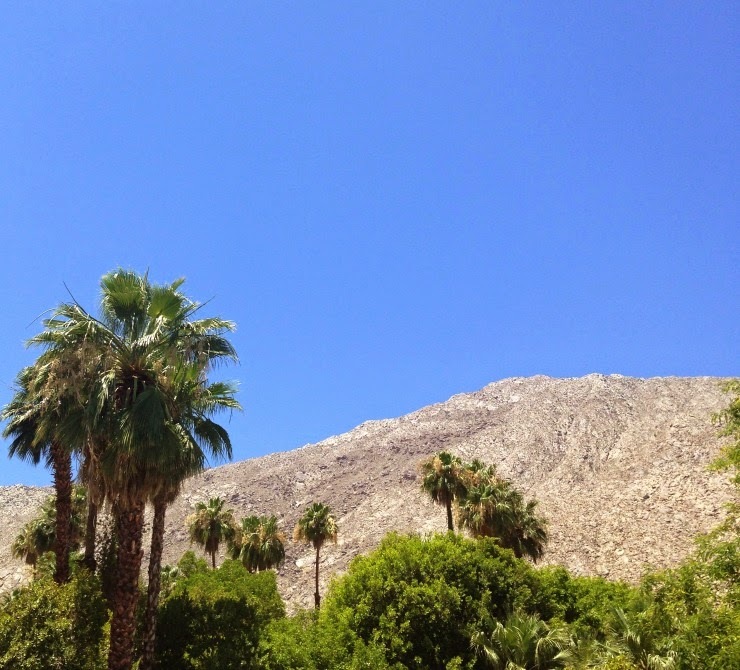 I have not been to Palm Springs, but with your photos and description, I feel like I'm "almost" there. The Trina Turk pants are perfect with your vintage brooch necklace. What a find! As usual, you wear your hat with self confidence and panache. Thank you for sharing with Hat Attack! 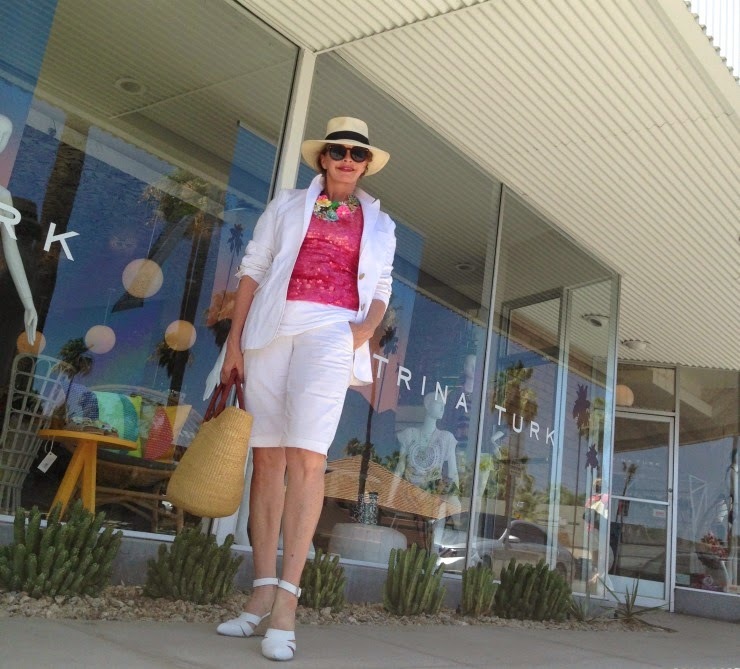 Thankyou for the wonderful images of Palm Springs, you look wonderfully elegant in those palazzo pants with the sparkly pink top.You conjure up an image of another era. Enjoy your holiday! Love those palazzo trousers, you look wonderful! 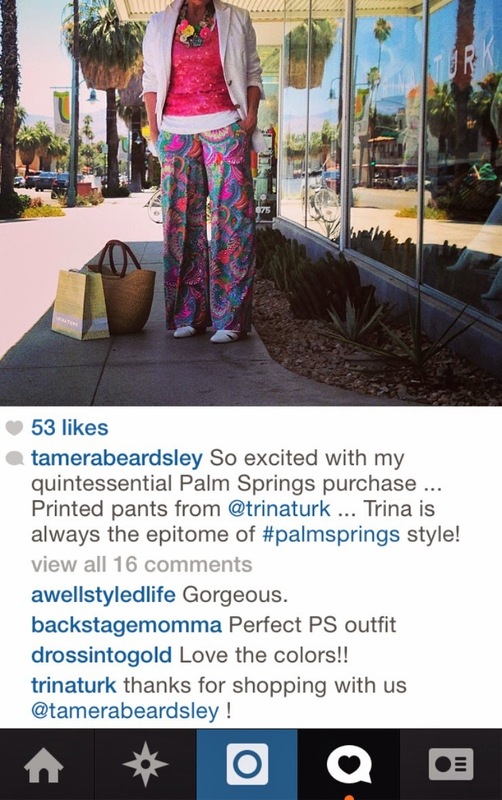 Love your colorful outfit for PS Tamera; you'll fit right in to the old glam style! I love the Viceroy for poolside lunch too but have never been to Trina Turk so thanks for sharing that resource. Have a wonderful trip. I love to travel, especially in California. 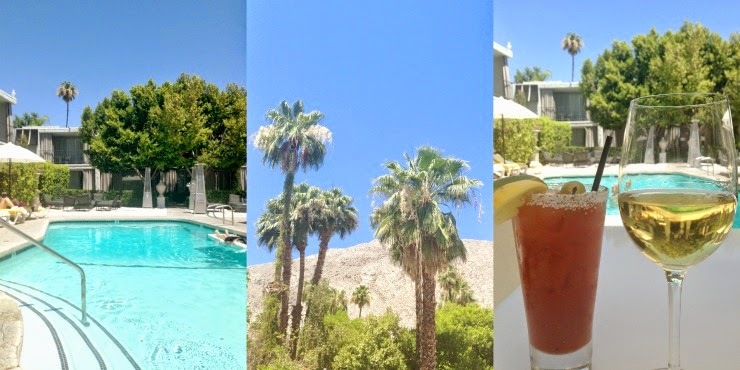 Because of your beautiful post, I'm putting Palm Springs once again on my itinerary. And, yes, I'll be wearing Trina Turk! Thank you for sharing your trip, Tamera. You've found the quintessential travel pant. Isn't Trina fun to wear?! Her Mabhattan Beach location is a destination as well. Thank you for posting such lovely photos. Love it all Tamera! Your styling is PS perfection. 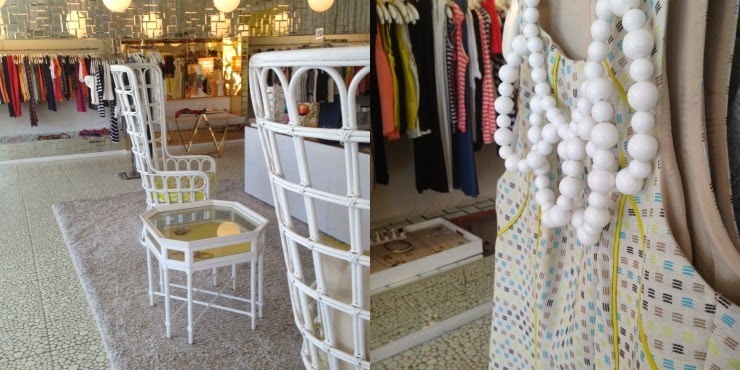 The Viceroy, Kelly Wearstler, my favorite Trina Turk boutique and your tweeting with Trina. Next time I think you two should just plan to meet up for lunch ;). Love this sunny post! You are the perfect picture of summer!! What a beautiful blog you have I am enjoying browsing around, flipping through like the pages of a beautiful fashion book!! Have a sunny weekend lovely lady! !